Researchers devise a new way to gain insight into microbial communities, like those in alkaline soda lakes. Credit: Manuel Kleiner. A new technique devised by researchers from North Carolina State University and the University of Calgary provides a more in-depth look at the composition of and activity within microbial communities - the microscopic life within our bodies and all around us. Rather than relying on a survey of the number of microbes present in a certain sample, the new technique attempts to assess the biomass - the protein abundance - of those microbes, which include bacteria, viruses and other tiny forms of life. Microbial communities play an important role in animal and plant health and disease, as well as in important environmental processes such as decomposition of organic matter and nutrient cycling in soils and oceans. Studies on these communities have become increasingly widespread in recent years. Manuel Kleiner, an NC State assistant professor of plant and microbial biology and corresponding author of a paper that reports the research, says that the differences in assessing microbial communities can be likened to the differences between a neighborhood census and a more in-depth study of that neighborhood. "Most current microbial community studies are like a census of what types of microbes are present in a community and how many, which provides some good basic information," Kleiner said. "We're looking for something deeper, so our technique can be likened to interviewing the neighborhood residents to figure out more about who they are, what they do and how much they contribute to their community. "In terms of the microbial communities, this deeper look means examining the biomass of these microbes - which gives us better clues about microbial activity and influence. Up to now, we haven't had a way to quantify the individual members of microbial communities based on mass." To test the new method, the researchers cultured a number of organisms in the lab and counted their cells and their proteins, and then mixed them all together to create an artificial community. "We created a number of these artificial communities with different microbial distributions so that we could test to see if we got back results that mirrored the microbes we originally put in," Kleiner said. The results showed that the results of the new method reflected the actual microbial communities very effectively. Next, the researchers tested the new method in Rocky Mountain alkaline soda lakes, slimy bodies of water with high salinity and pH values. 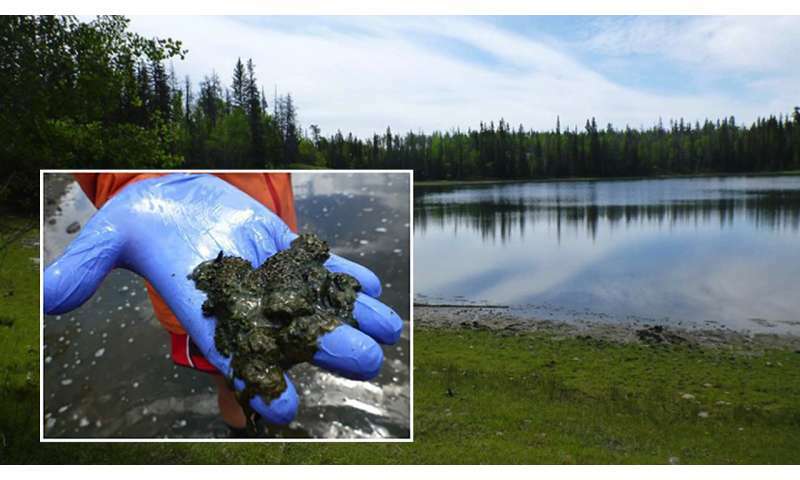 They found, in one of the lakes, that the new method was able to identify algae that weren't found by the more common "counting" method. "The new method gives a completely different dimension on the structure of microbial communities," Kleiner said. "It is not necessarily a 'better' method, but a complimentary one that could provide much better insight into these communities." Kleiner added that all the data from the study is publicly available, so other researchers can test the new technique for themselves.